If you want to fine tune your website in an effort to increase sales you absolutely must pay attention to what your website analytics is telling you. In short, you must know where your problem spots are if you are going to be able to correct them. Now, there are a number of website metrics that should be focused on in an effort to uncover problems. One of them is your bounce rate — both website wide, and on individual pages throughout the site. Bounce rate represents the percentage of initial visitors to a site who “bounce” away to a different site, rather than continue on to other pages within the same site. Or in other another way of saying it is the percentage of visits where the visitor enters and exits at the same page without visiting any other pages on the site in between. It goes without saying that ideally you want your bounce rate as low as possible. To determine where you have problems associated with bounce rate it is best to drill down on a per page level and determine which pages produce the highest bounce rate. Until now, doing this worked similar to the following: you locate the content sections of your site within analytics, you click the bounce rate column to sort from highest bounce rate to lowest, you are presented with a list of pages from 100% bounce rate to lowest and then you start to scan / scroll / analyze those returned based on what is really important and indicates a problem area. The initial results returned using this method are useless. You get pages with 100% bounce rate that really don’t indicate a problem spot and for the most part are only listed at the top because of their ‘100%’ measurement. Now, you might be asking how can a page with a 100% bounce rate not be a problem. I’ll provide you with a brief example of this very concept. 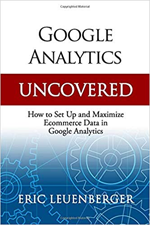 Having provided this example it now becomes clear that the past sorting method offered by Google Analytics did little to quickly provide the information needed to help make decisions fast. Yes, you could get to it, but even after sorting you had to wade through pages of information to really find those pages that should get attention. All that has changed with the addition of weighted sort in Google Analytics. Weighted sort enables you to now drill down on previously useless sort results based on the ‘weight’ each page (in this example) has over others on the site. This provides more relevant results faster and thus makes it easier to determine where to focus your attention when attempting to improve your website.